New Ballas, Rock Hill and Ballwin have some coming today, but they are all pre-sold now. You can order online to reserve for those locations and we will get them transferred there on Thursday. whiskeys. Proof, that hard work always pays off. 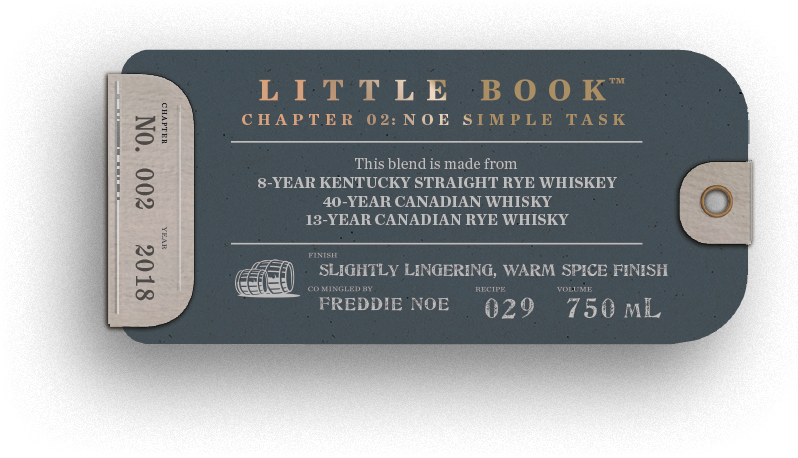 As the name implies, this round of Little Book was a long journey that really tested my skills as a blender. Maybe I jinxed myself naming my first batch “the Easy.” Superstitions aside, I spent a lot of time in the lab on this one. I tried almost forty different recipes. But in the end, all that hard work paid off and we landed on a one-of-a-kind whiskey I’m really proud of. The road to Noe Simple Task started when I visited our Canadian distilleries in early 2017. I enjoy travelling to different places in the world to see how they distill their spirits. There, I was able to taste some great Canadian whisky straight out of the barrel. I was really drawn to the fruit and floral notes they achieve. I wanted to know more. Later in the year I went back for a deeper dive to learn all about their process. And taste some more great whisky. This was a step outside my comfort zone. The rules and laws for making whiskey in Kentucky that I grew up with don’t apply up there. But I came back inspired and began blending. Now, while the flavors of the Canadian whisky had piqued my interest, my heart still lies in Kentucky. So I was excited about the idea of bringing the best of both worlds together. Knowing I wanted to blend with Kentucky Straight Rye, I started experimenting with different Canadian whiskies, trying to pull in those fruity and floral notes. They use a lot of different barrels to age up there, so I was able to play around with a lot of different flavors. I was looking for something that would round out the blend and really showcase the nuances of both the American and Canadian whiskies. 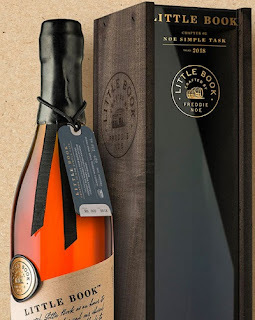 In the end, I found the 40-year-old whisky and 13-year-old rye helped me achieve exactly what I wanted—a truly balanced and refined whiskey with a nice, lingering finish that’s full of flavor. Lagunitas 12th of Never Ale.